Street parking available after 7 PM. Located at 48th street off the corner of 11th avenue. Accessible by C/E Trains to 50th street, #1 train to 49th Street or F/V/B/D to 47-50th Rockefeller Center or M50 Bus. Cantina Rooftop Restaurant & Lounge, located atop Stage 48, features an innovative Modern Mexican dinner menu and expertly crafted cocktails with a focus on Margaritas. Reservations are strongly encouraged for the dining room. During the fall and winter season, dinner is served in our new Cantina48 Dining room and lounge on Level 3 Tuesday to Saturday. Please contact us for large groups of 9 or more. 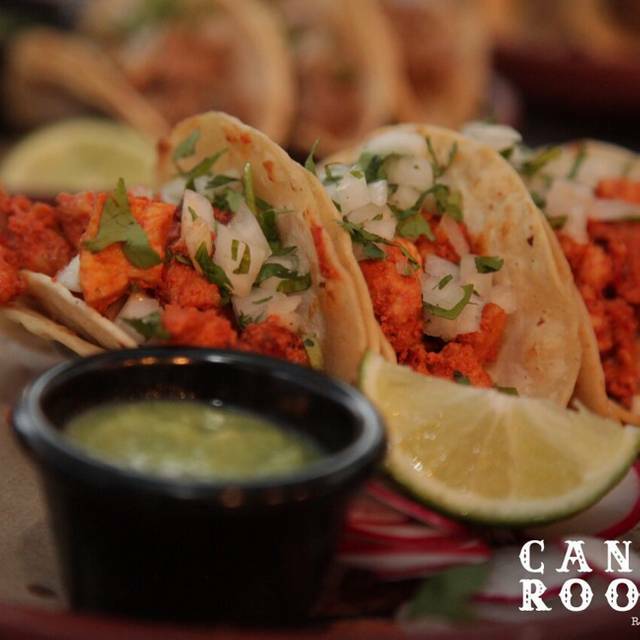 If you can not book your reservation on line please e mail us at reservations@cantinarooftop.com and we will be very happy to accommodate your group. 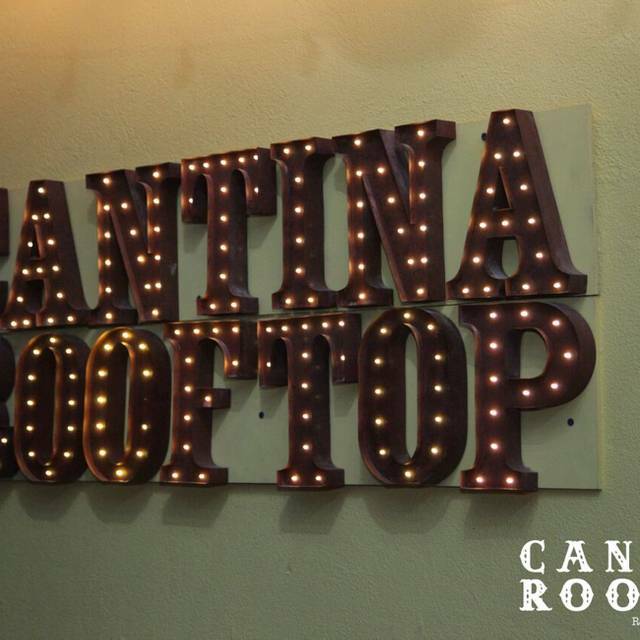 Thank you for your interest in Cantina Rooftop Restaurant and Lounge. 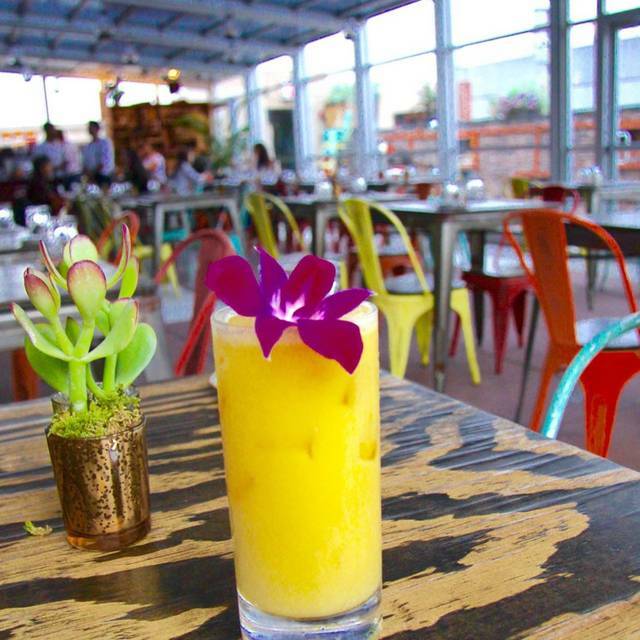 Join us for Happy hour Tuesday thru Friday from 4-7 pm. Great food and great services. They stayed on top of refills of bottomless sangria. Great food and brunch party Atmosphere. Great experience and my friend really enjoyed her birthday dinner here. We were expecting a NY roof top bar but was disappointed when we arrived when the roof top bar was not open (private party), the building was just 4 floors and we ended up in a restaurant with no windows on third floor. It was compensated by the good live music (after they stopped the too loud music from the speakers), goid service and good food. Disappointed with the brunch menu. 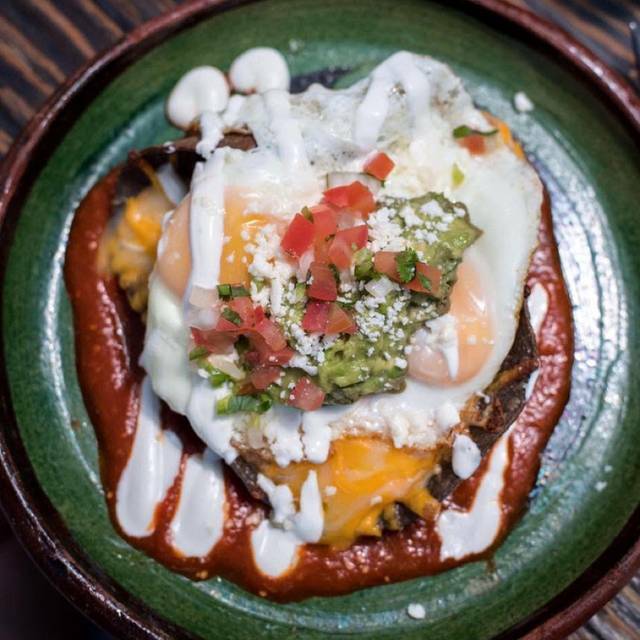 No tacos on the brunch menu and basically every entree had eggs in it. If you’re looking to get drunk l, this the place for you, we ordered a pitcher of Margaritas and it was stronger than it should’ve been. It was amazing. The atmosphere and the music was on point. My boyfriend and I, love it. I highly recommend this restaurant to other people. 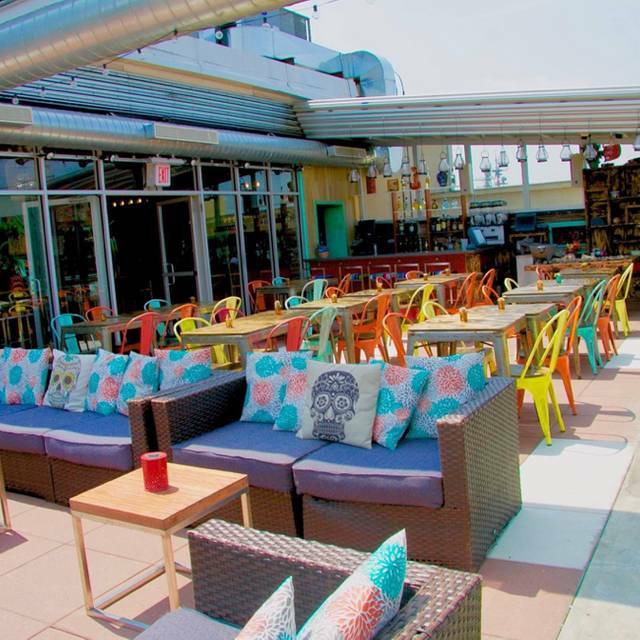 Cantina rooftop had such a cool vibe. Our brunch cocktails were constantly being refilled, I loved that we were able to get different cocktails for the 90 minute duration and not have to commit to only mimosas. Food was beyond a amazing! I would die for the tres leches French toast! This place was really fantastic, our server took wonderful care of us and the food was excellent. Ambiance was solid in the dining room. The upstairs is a little clubby, but also wonderful. Will be going again in the near future. Really, really wonderful restaurant! Attentive, friendly staff, great food and drinks. Celebrated my Birthday, they went above and beyond. Dez Birthday plus a double date. A little pricey. The waitress was not attentive at all, perhaps because she knew her tip was included. She did the bare minimum and was hard to track down when we needed her. The food was great. Portions were enough. Staff was friendly. Overall, it was a good time. Loved the vibe and the food . . . but honestly the waiters and bar tenders seemed like they didn't care at all about serving customers, just hanging out with one another. Fun and different place . . . food truly was exceptional they just need some service training . . . it wasn't even busy or understaffed so I'm not sure what was going on. Took forever to order a drink at the bar - then once seated, had to hunt down the waiter to order, get more drinks - then flag him down again for the bill. Great food and amazing staff. My family and I had a great overall experience. My only suggestion is to lower the music volume a bit. Loud club-like atmosphere made it difficult to converse. But the food, drinks, and service were actually pretty good. Probably the best brunch I’ve been to yet. The special on drinks is amazing and the food is excellent. My boyfriend and I loved the atmosphere and the DJ. It was almost like a huge brunch party, people dancing on the dance floor and having a great time. This is a super fun place to eat, drink, and be merry. The service was on point also. Would definitely come here over and over again if we lived closer but this will definitely be our brunch spot when we visit New York. Nice ambiance. Long wait for my table. But good service! 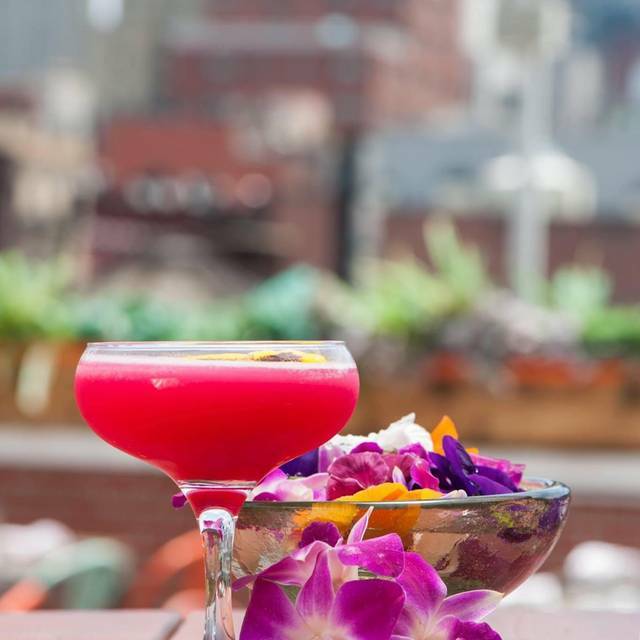 The Cantina Rooftop is a place I bring people visiting me in the City for that Wow factor and it works everytime. The access by elevator is mysterious. The view is stunning. 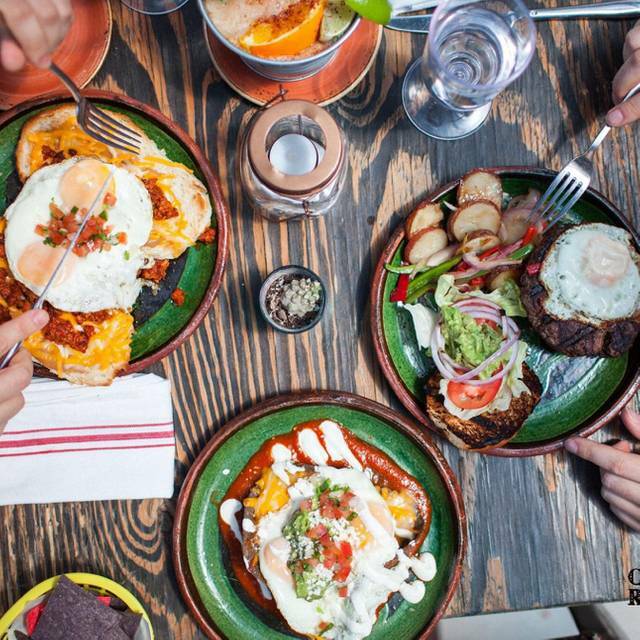 The food is authentic Mexican and has become my favorite. The service is great. The music is pumping!! I love this place!! They were having a private party so they shifted the whole rest. Downstairs,so it was short on staff and the worst thing is while we are eating, they are removing tables as it becomes a nightclub later on. While the staff is super friendly and very professional, food was ok. The room was very loud cause of a party downstairs so our table chairs and walls were shaking. Not sure if it is because we talked with an accent but they included a 18% gratuity right away (we were only 4) and the gratuity was based on the total bill not based on the tax. So that left us with a bad taste in our mouth. 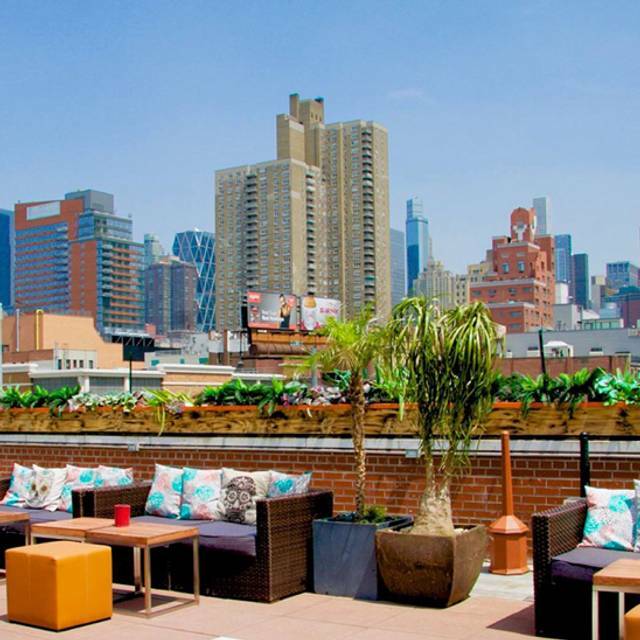 Booked cantina rooftop expecting a rooftop! We were put on 3rd floor because there was event on the roof. We were put in a makeshift dining room with kitchen behind a curtain. I wouldn’t have gone here if I’d been told the roof was closed. Romantic dinner for two with a view of the Manhattan skyline in the background. Noise level was painful. The music was so loud, we could only speak to the person sitting right next to us; no group conversation was possible. A group of 4 or 5 came as we were leaving and they decided to leave, too, because of the sound level. So with that, and the food being only mediocre, I would never go here again. I came here with a few friends for brunch. The place itself was beautiful and the food/drinks were good, however they had a DJ spinning the entire time at a volume that was absolutely absurd. We had to yell just to hear each other and even then it was difficult to have a conversation. Most of the time when we go out to brunch, we like to linger for a while and enjoy ourselves. This would have been the perfect spot for that if they had gotten rid of the DJ or at a minimum, turned the volume down. This is brunch, not the club on a Saturday night. Not great service. The waiter placed my fork on my plate and tried to take it away without even asking if I was done! I still had 2 out of 4 enchiladas left! When I told him to stop and to please hand me a clean fork, he didn’t even apologize! So rude!! I made a reservation for Cantina Rooftop assuming that we could get seated outdoors on the rooftop but instead was told when we got there that the rooftop was reserved for a private party and a curtain covered the entire thing. The waiter also brought us menus that were different from the menus on the website for the rooftop. 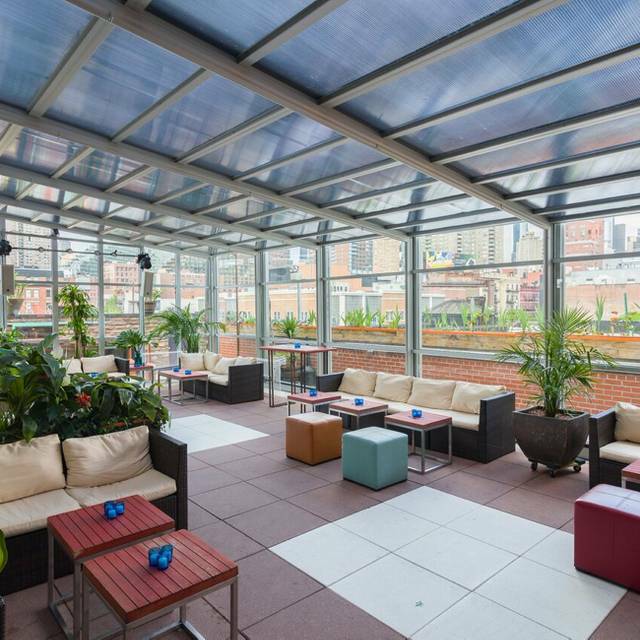 However, he and the chef were accommodating to prepare meals on the rooftop menu. The ambiance is nice and they okay good music but it is loud and hard to talk to people/be heard. The guacamole was super good and the enchiladas were different but not bad. The service was kind of slow but the servers were polite and sweet. Reserved a table at the rooftop in advance and asked for view. We came and were seated in the floor below as the rooftop was closed for a private party. That floor had no windows. Atmosphere was friendly. A bit too noisy but the music was good. The food was so so. Limited menu. The qusadia was flat and dry , hamburger tasted good but the fries were too salty. Fish was way too salty. Service was friendly. Overall disappointing. Made reservations with understanding we'd be on the roof. When we arrived there was a large event with a super loud DJ. Then we were taken downstairs to an indoor dining room. The food and service were excellent but the glassware was all plastic, making it seem a bit cheap, despite paying $25-35 per plate. Definitely call first to make sure you can get a rooftop table. Very disappointing. However, the free tequila shots at the end were a nice touch.